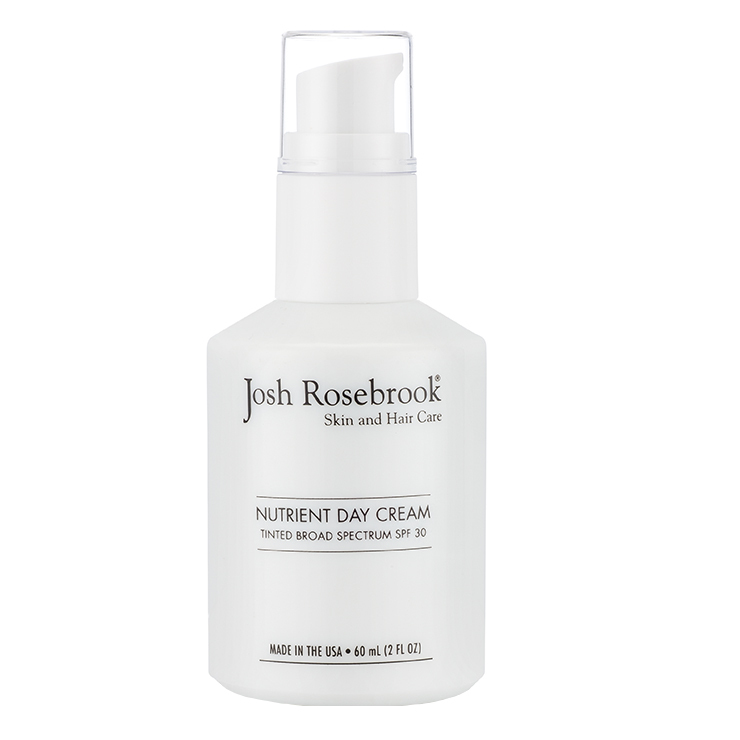 The Josh Rosebrook Tinted Nutrient Day Cream with SPF 30 is a unisex formula that's easy to wear every day. 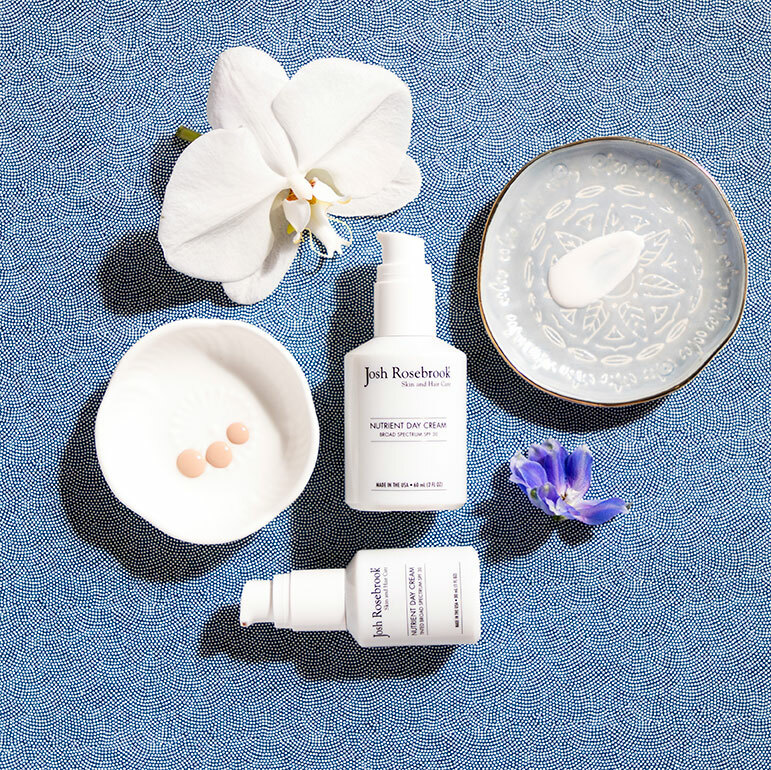 With a beautiful pairing of the organic plant and herb infusions characteristic of Josh Rosebrook, it makes for the perfect daytime moisturizer with light tinted coverage. This nutrient rich cream features organic sea buckthorn, burdock, gingko, neem, rose hip and chamomile coupled with mineral sun screen, non-nano micronized zinc oxide. Apply evenly to face, neck and anywhere you want moisture and sun protection. Wears beautifully under makeup. Re-apply every two hours or after perspiring or exposure to water for recommended UV protection. When applying keep about 1/2 inch area around the eyes as sunscreen can be irritating to the eye area. This provides just the right amount of moisture and evens out my skin so it looks polished and supple. I like the look and feel so much that I re-apply for evenings out rather than using foundation, which makes it great for travel. My skin color is light and the tint is OK now because I have a little tan. In winter I need something lighter and maybe a bit cooler toned, so I hope I can make it work by mixing in some untainted. You should be reapplying your SPF every couple of hours, and if you have any skin discolorations you want to hide, but have a full day of outdoor activities, the Tinted NDC will make reapplication easy and convenient! My skin always feels better after I use the NDC tinted, or not! I received 2 samples of this with previous orders and I love it! I layer it after my toner and essence as my moisturizer and SPF. It sits perfectly under foundation! Josh did post an IG video of how to apply, and he pats it into the face. I'm so ordering this after I run out of my samples! Bravo! I absolutely love this SPF for my face! Josh Rosebrook's tinted SPF 30 came as a sample in one of my other Beauty Heroes orders. I tried it and absolutely loved it! Typically, I have had a lot of challenges finding a natural, organic SPF for my face because they are often too greasy or it turns my skin white. JR's tinted SPF 30 goes on smoothly, it's not greasy and the tint looks very natural. It evens out my reddish skin tone, too, which I love. I just ordered a full size and can't wait to be protected every day with this amazing face SPF. Thank you JR and Beauty Heroes!! !